USPS First Class: Orders weighing less than 15 ounces now have the USPS First Class Mail option does not include automatic insurance). This option uses USPS real time quotes directly from the postal service based on weight and zone. USPS claims nationwide First Class Package delivery in three business days or less, but this is not guaranteed. (In some cases it can take up to five business days, but this is usually the exception). USPS First Class step by step tracking updates and projected delivery dates aren't as reliable as Priority is (updates less timely/detailed and delivery often occurs sooner that stated), but it's not any less reliable in getting packages where they need to be in the time expected. Flat Rate: All orders requiring or selecting the Flat Rate option are shipped USPS Priority Mail. You are not charged extra for heavier or larger packages even if we are. Priority Tracking information is more detailed and updated online more often. USPS Priority Mail generally arrives in 2-3 days, sometimes quicker in surrounding states and automatically includes $50 package insurance. Currently, USPS Priority Signature Required is not available for APO/FPO orders. ALL Orders: Orders are shipped in the order they are received. Most orders are ready to ship within 1-2 days. Orders placed on Fridays, weekends and holidays will be shipped out the first business day after the order is ready unless otherwise noted. You will receive an email notification with your USPS tracking number from Stamps.com when your label is created, and another email from eJuiceMonkeys.com when the order status is changed to shipped (often within a few minutes of each other). Please track you package online and call your local post office if you want to check it's whereabouts. Often times hangups occur at the destination post office and inquiries will resolve much quicker if handled locally by the recipient. There is very little we can do in terms of locating your package, and postal workers will need to speak with you anyway. If an issue is not resolved quickly, please let us know. We will do whatever we can to help you resolve any issue, but please understand we are not the US Postal Service and we have no control over package handling once it leaves our possession. Delays do happen, so please place orders with this in mind. Shown Delivered by USPS but not Received: We cannot replace, and we are not responsible or liable for orders shown as delivered by USPS but not received by you. You need to contact your local USPS with tracking information and request they trace and find your package. Packages Returned as Undeliverable: We are not responsible for additional shipping costs to reship orders returned to as as undeliverable because of USPS sorting errors or incomplete/ inaccurate shipping addresses. While this has always been our policy, we have reshipped returned packages at no cost as a one-time courtesy. Because of the large number of orders returned to us because of invalid or missing shipping information, and the time and increasing cost involved, we can no longer do this. If your order is returned using the address you entered and must be reshipped, you will need to cover the additional shipping costs and verify a valid delivery address. You will receive instructions via email to pay additional shipping charges online. WE WILL NOT RESHIP TO THE SAME ADDRESS THAT GENERATED THE RETURN. Shipping Refunds: We pay the shipping for your order and ship only to the address you provide us, therefore all Shipping Costs paid by you are non-refundable. This applies to undeliverable, delivered but not received by you, refused, lost or mis-routed packages and returned products. We will work with you and try to help you resolve USPS issues, but we are not responsible USPS operations. Your shipping cost automatically includes insurance coverage up to $50, but this must be filed directly with USPS. Military APO/FPO Addresses: We are happy to ship to APO addresses for our armed service men and women, but please be aware that we can not be responsible or issue refunds for shipments seized by customs, as some countries may not allow these products in. Non-Domestic Shipping: Our software is not currently configured for non-domestic payments or shipping, but we can accept and ship orders. Please contact us for details. Freight Forwarding: We DO NOT ship to FREIGHT FORWARDING COMPANIES. Orders with freight forwarding delivery addresses will be canceled and bankcard charges will be voided or reversed. We apologize for the inconvenience. 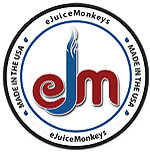 Payment Information: You can shop at eJuiceMonkeys.com with confidence. We have partnered with Arvest Bank and Authorize.Net, both of which are e-commerce industry leaders,specialized in the unique needs of online merchants and consumers. Through these partnerships, we accept MasterCard, Discover, Visa and American Express debit and credit cards safely and securely. All partners continually goes through rigorous certification processes to ensure sensitive cardholder data is protected. It manages the complex routing of sensitive customer information using private key encryption technology and strict protocols to ensure customer data is not compromised. Your sensitive data is NOT stored on our website or server, or in any records we maintain. This may be inconvenient because customers must enter card information each order, but we believe it is well worth the peace of mind and security. - 128-bit Secure Sockets Layer (TSL) technology for secure Internet Protocol (IP) transactions. - Industry-leading encryption hardware and software methods and security protocols to protect customer information. We are currently in the process of setting up an option for electronic check payments. If you prefer to pay by mail please contact us with your order request and we will provide additional instructions and an order total. We CANNOT ship orders COD. IMPORTANT NOTE ABOUT PAYMENT DECLINES: Our security system uses AVS (address verification system) to process payments. AVS is banking software that checks with your bank to see if the billing address entered on the order matches with what the bank has on file for you. The billing address you use on our website MUST MATCH the billing address your bank has on file, or our payment processor will decline your transaction EVEN IF YOUR BANK APPROVES IT. Some banks will approve any transaction (as long as funds are available) and issue the transaction an approval code (regardless of whether or not the merchant accepts it). When they do this, they often place a “hold” on any funds they’ve issued approval codes for. The hold is expected to drop off at the end of the business day if nothing is submitted with that approval code, but again, there are some bank policies allow funds to be held for up to 5 days. These are standard security measures all online merchants should use to help prevent possible fraud. This also helps protect against underage sales, and helps add credibility to an industry that's gotten a bad rap. Unfortunately, many websites do not use this system because of the additional cost and potentially lost sales. WE CANNOT VOID OR REFUND THESE TRANSACTIONS AS THEY WERE NEVER ACCEPTED BY OUR SYSTEM. Local Sales Tax Information: Orders made and shipped within the state of Arkansas will be charged appropriate sales tax. Refunds, Returns and Cancellations: All parts of vapor units are considered disposable with limited life spans, and will need replacement. The life span of any individual part depends on many factors, and therefore is not always predictable. IN GENERAL, batteries can be expected to last several months (often more), and atomizers can be expected to last several weeks, though with minimal care, they will likely last twice that. 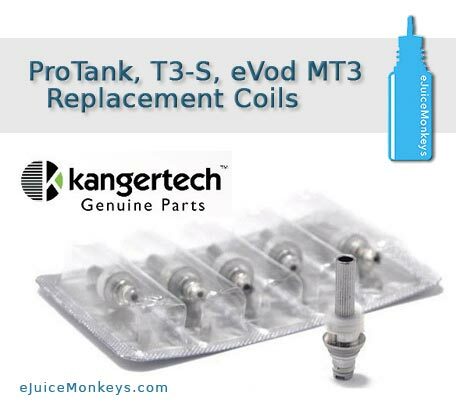 Please remember many vapor products units are electronics with circuitry, heating elements and microchips, and thereby MUST BE TREATED WITH CARE. Dropping (or severe jarring), careless handling and failure to read and follow guidelines received with product or online are primary causes of equipment failures. Standard Resistance Atomizers have a maximum 14-day store replacement policy. 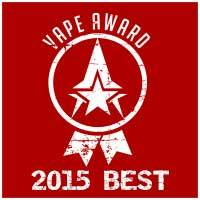 Cartomizers & Low Resistant Atomizers are DOA (dead on arrival) store replacement only. *We cannot accept returns or exchanges on any eLiquid irrespective of whether or not they have been used or opened. We highly recommend purchasing smaller bottle sizes or requesting the free sample offered when making another purchase to find flavors suited to your personal taste. If you are truly unhappy with an eLiquid you order, feel free to contact us for suggestions and possible solutions or options, but all eJuice sales are final. Shipping for Returned Items: You are responsible for return shipping cost. If the return is the result of an EJM error, we will provide a shipping label or credit for return costs. If the return is a warranty replacement or repair, we may, at our discretion, provide a shipping label or credit. Charge-Backs and Credit Card Usage: Most vapor product related charge-backs are due to "free trial" email scams, but the result has made credit card processing very difficult for many respectable merchants. Scams have resulted in the entire industry being categorized as "high risk" where a higher than normal number of charge-backs could exist. This makes it difficult and costly for vendors and customers alike. Merchants are limited to fewer affordable processing providers. As the e-cigarette industry continue to grows, it meets a lot of opposition for a lot of different reasons. This is but one of the obstacles merchants work to overcome. We ask that when dealing with any respectable merchant, before you ask your bank to reserve a charge, please contact your vendor and give them the opportunity to work with you and refund your purchase in a way that doesn't continue to hurt the industry and it's reputation. MANY BUSINESSES HAVE DBA NAMES. PLEASE ALWAYS CONTACT AN "UNKNOWN" MERCHANT BEFORE FILING A DISPUTE.